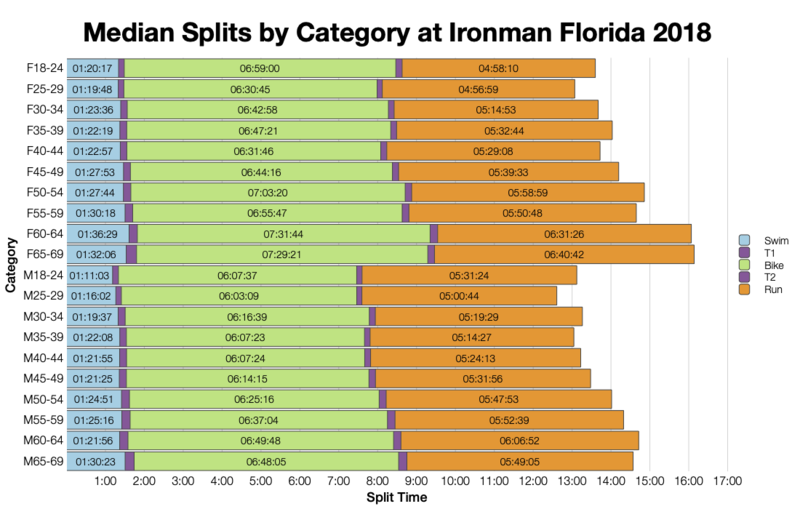 In the aftermath of Hurricane Michael the only way Ironman Florida could proceed was by a change of date and venue. 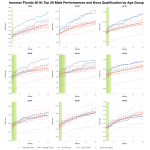 Although the race remained on the same weekend in Florida athlete numbers were significantly affected. The DNS rate for Florida was just short of 40%. For the 1800 athletes who made it to the start line, the standard 40 Kona slots were on offer. An entirely new course and such reduced competitor numbers obviously gives a very different pattern of results. This year’s race trends much slower than usual. From swim to run this year’s race trends slower than the regular course. It’s roughly 30 minutes slower at the median for both bike and run, and over an hour slower at the median for the overall times. This difference remains true through to the front of the field suggesting course and conditions were generally slower. As you’d expect, there’s a large drop in athlete numbers with the last minute relocation. 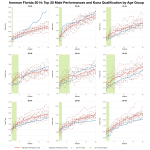 DNF numbers are at the high end for Florida too, particularly on the run. Heavy rain was a factor for those who were on the course for longer and may have pushed the rate up as well as slowed times. 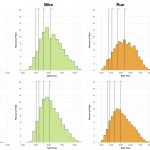 As we saw in the distribution charts the medians were much slower across the board. This remains true across all age groups. 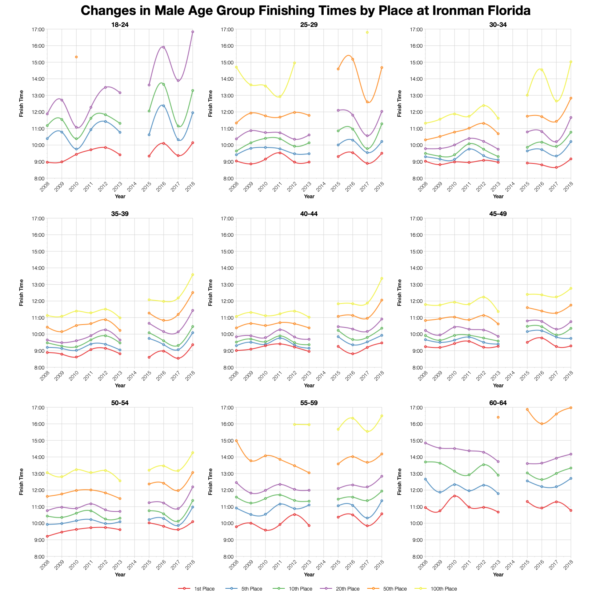 While they vary in degree every age group was slower in bike and run. About 75% of the field came from the US, numbers from elsewhere remained relatively consistent probably due to the levels of commitment to the trip. About half the slots remained in the US. 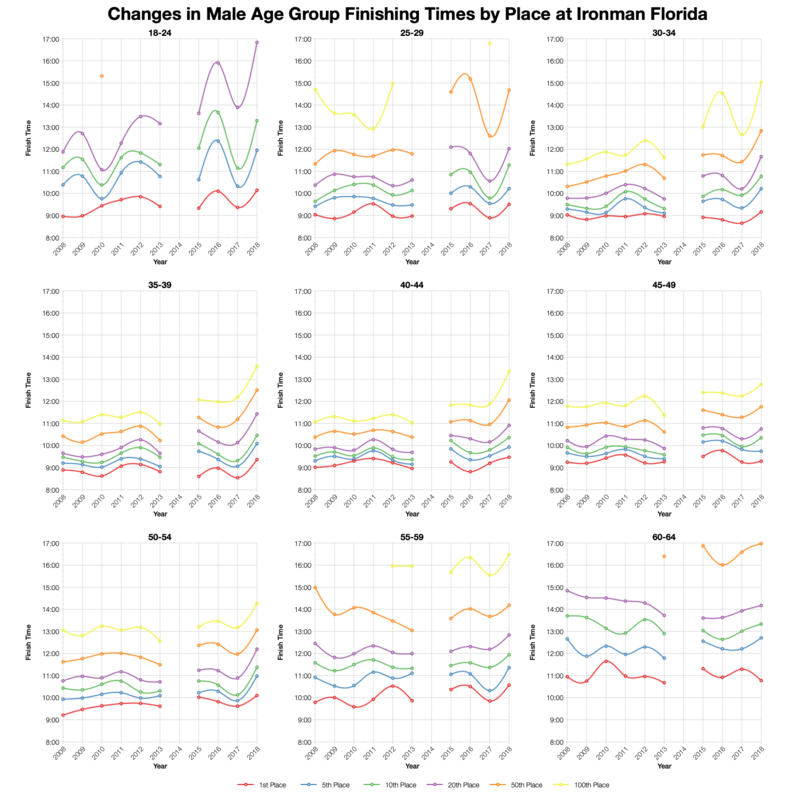 Tracking times for specific age group places shows how this year’s event was consistently slower. In some of the smaller age groups the 2016 times are roughly comparable with this year, but for most the shift is clear. The 2014 race has been excluded due to its missing swim. 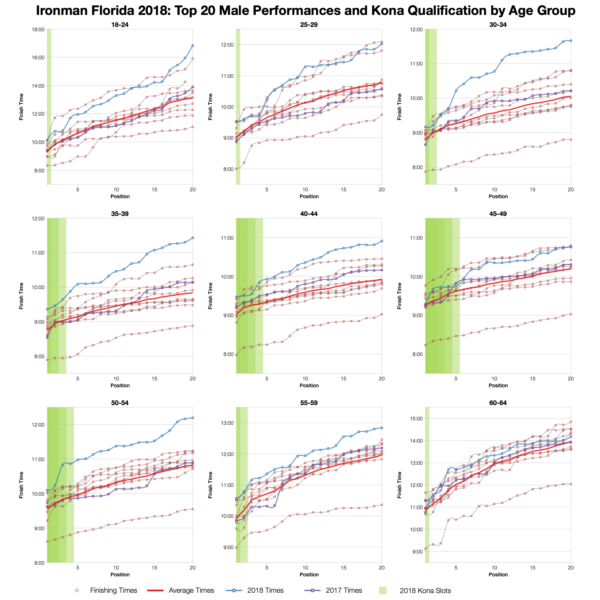 I’ve used the official allocation of Kona slots and calculated the automatic qualification times for each age group from these. Roll downs would affect the final times. 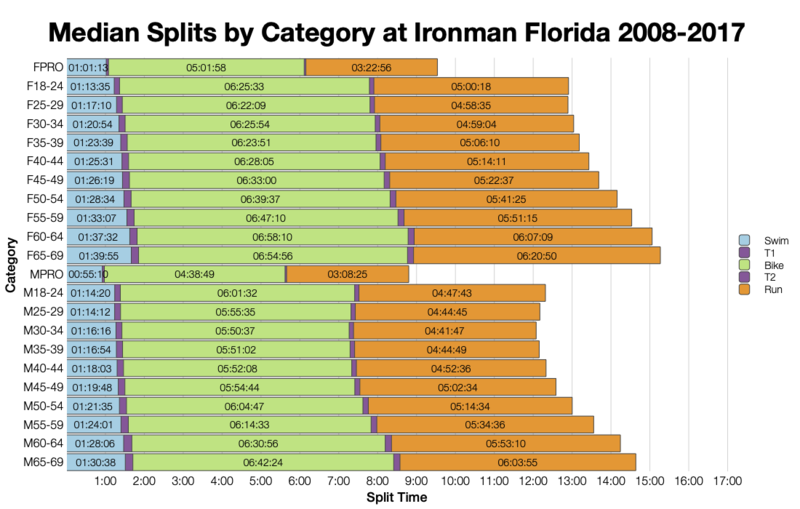 You can compare this with other Ironman races on my Kona qualification page. As with the rest of this analysis, we can’t really directly compare results. Every age group’s top twenty is slower than average. How much varies and if we look at the very front, at the qualifying times the gap does close. 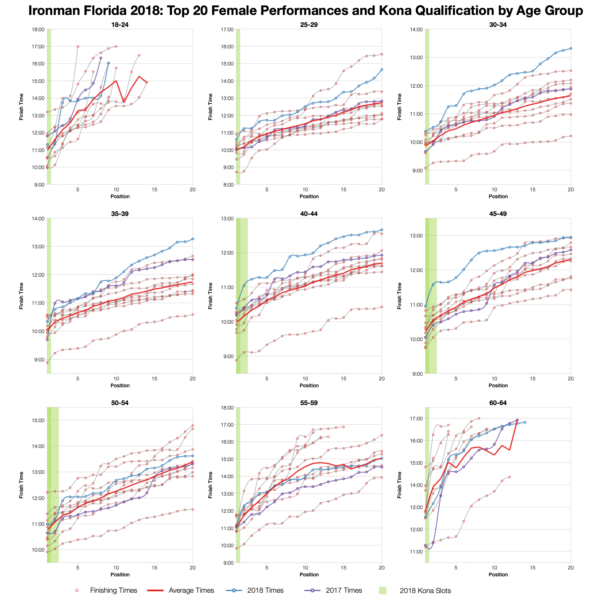 You can access a spreadsheet of the full results from Ironman Florida 2018 on my Google Drive.